Adam Is At It Again!! 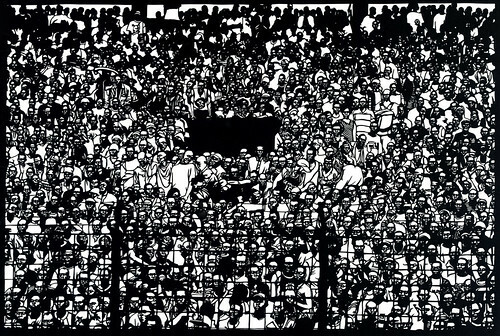 This is a 19"x 22" single layer of a 2009 Ghana Soccer Crowd. It took him 56 hours of cutting while wearing jeweler's goggles. 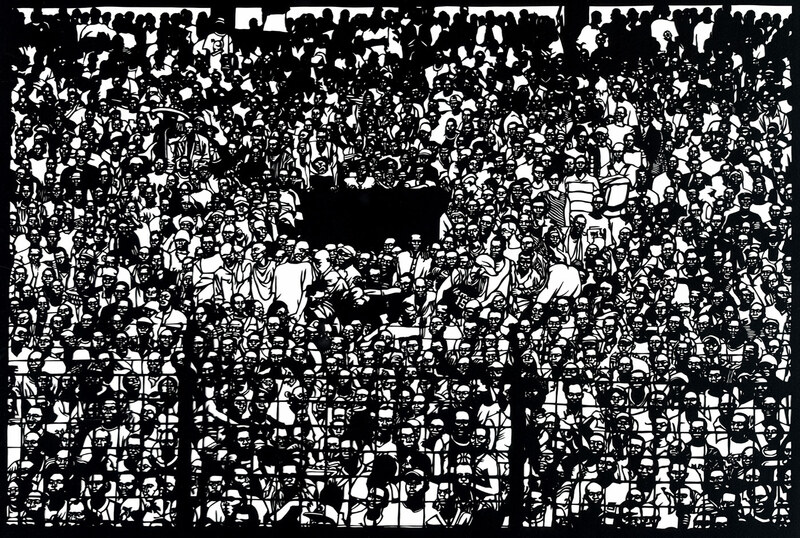 Please, Please, Please Click Here and then pop it to blow it up so You can see the detail.